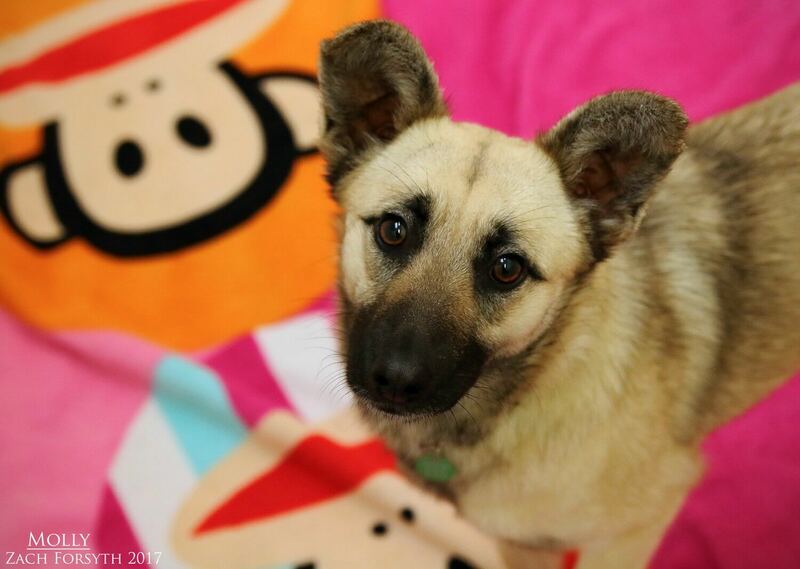 Everywhere I go, people say “Good Golly, Miss Molly!” because I am the cutest darn 10 month old Shepherd mix around! Not only do I have good looks, but I am also very sweet and affectionate. At just 26lbs, big new things can be kind of overwhelming for me including all this hustle and bustle near downtown and I would need to be in an owned home in low traffic quiet neighborhood. But I do love playing with my new doggy pals here at Pixie and having a confident pup in the home would be oh so awesome! Those kitties are kind of weird and I keep my distance, so a kitty in the home would be just fine. I am very sweet girl and smart pup too! In fact, I would love to learn more about the world as PUPPY CLASSES ARE MANDATORY FOR MY ADOPTION! Though I can be a bit shy at first, I enjoy meeting new humans friends over 12 and it helps that they are just full of belly rubs and those yummy treats. Sensitive, sweet and full of snuggles, I am eagerly awaiting to find my new home. Will it be yours?! Fill out an application today, so we can set up a meet! 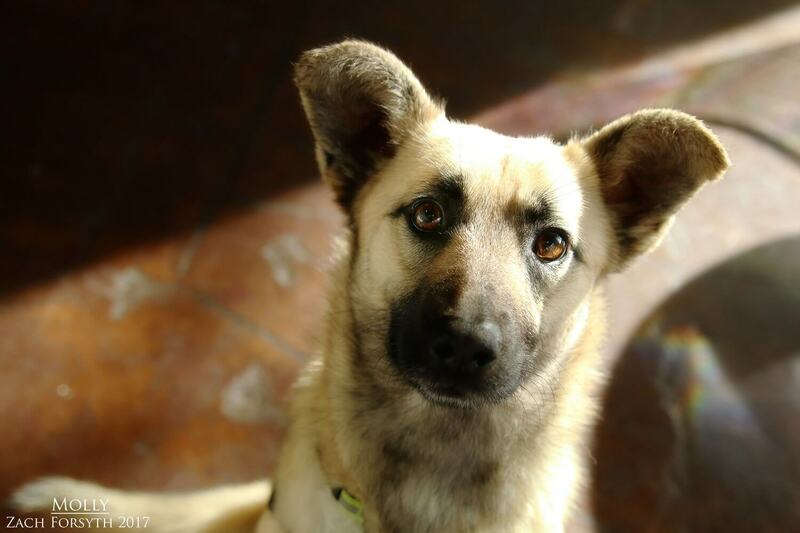 I come to you spayed, vaccinated, and micro-chipped with an adoption fee of $300.